I’ve been sharing the #MakeChristmasBearable campaign by Teddy Mountain UK over my social media recently. They are running a daily giveaway until 25th December. Each day someone who has been nominated will be picked to win their own Bear kit. The idea is to nominate someone who deserves to win a bear, perhaps they’ve had a tough year or just generally struggling and feeling low. With your nominations, you can help #MakeChristmasBearable this year. Each day you can nominate someone you feel deserves to win a Teddy Mountain Bear. Simply comment on any of their social media platforms with who and why you think they deserve to win. The winner is announced via Facebook Live videos on their page each evening. I think this is an absolutely lovely campaign. I know many people who most definitely deserve to win and would love their own bear. Because of this, I would like to help raise as much awareness about the #MakeChristmasBearable campaign. As I have been helping share the campaign Teddy Mountain UK kindly sent me a gorgeous new friend, their Gumdrop Pony. I was overwhelmed by their kindness and thought I’d use my new friend to help spread the campaign so others feel that too. I ran a few polls on Twitter to give my new friend a name. After a day of polls we finally named her Amethyst which I love! Teddy Mountain UK have a huge range of fantastic bear kits to make yourself at home. These kits are fab and I know lots of smiles will appear due to their campaign. Teddy Mountain UK have kindly given me several shout-outs during their Facebook live videos for sharing #MakeChristmasBearable so I wanted to share a blog post too. Hopefully, it will help raise even more awareness for such a lovely campaign. I know many of my readers struggle this time of year and I’m sure many can think of someone who does too. Together we can help put a smile on a few more faces by sharing and nominating people to win daily. With 13 more days to go and a prize each day, why not pop over to Teddy Mountain UK’s Facebook page and nominate a friend. I’m sure it will mean the world to whoever you win it for and could #MakeChristmasBearable for them! Win a £15 Hotel Chocolat E-gift card in today’s #BigBirthdayGiveaway. Yesterday we offered one lucky winner a pair of Akai Wireless Headphone in the first of several giveaways! Anyone who follows me on twitter probably knows that since I discovered Hotel Chocolat there has been no turning back! I try to treat myself at least once a month now. My absolute favourites are the Rose & Violet and Mississippi Mudpie. Hotel Chocolat offers a large range of mini-slabs or packs of chocolates on £3 for £10 which is a great way to try different flavours. 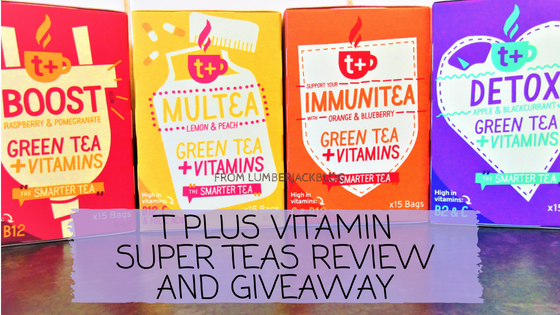 Enter below for your chance to win and remember to come back each day for a daily entry too! Don’t forget to enter yesterdays giveaway and keep your eyes peeled for the next one! *Please note this is not a sponsored/collaborative post. There’s a new Enamel Pin Range over at Old English Co! To celebrate, they are running a competition to win 3 Enamel Pins! If you love Enamel pins then you will love these 3 gorgeous pins (below) up for grabs from Old English Co. I love the pins they are giving away and have several other favourites too! Of course, if you’re going to start collecting pins then you need something to hang them on too! Luckily Old English Co has just the thing! This fab Enamel Pin Display Flag is just £8.95. If you love Old English Co’s Enamel pin range then check out their fantastic Planners and Stationary I recently shared if you missed it too. They have some fantastic ranges which are perfect as a gift or even a lovely treat to yourself! Make sure to check them out if you love their gorgeous new enamel pin range and enter for your chance to win! I’ve been browsing the stunning planners and stationery from Old English Co who currently have a World Stationery Day competition running. Their competition to win 4 stunning planners is open until 25th April 2018. Simply head over to their competition page and follow the simple instructions for a chance to win. Old English Co is a stationery and homeware brand creating beautiful, hand-lettered products. Old English Co has this range of stunning planners (A5) available for just £11.95 each. 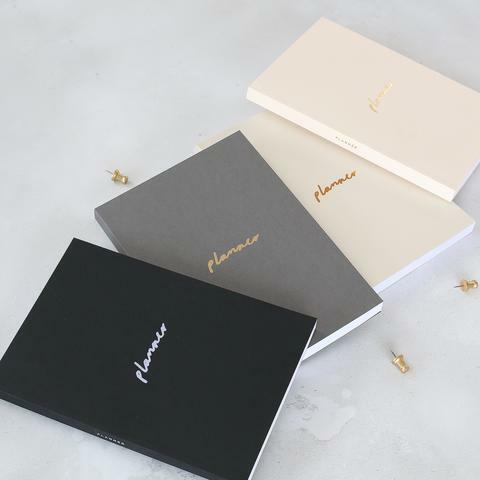 These planners are available in pink & gold, grey & gold, off-white & copper and my favourite – black & pearlescent. These A5 planners are perfect for day to day use with an area for the date, da daily checklist on each inner page and a section for notes at the bottom. These stunning planners from Old English Co are made using metallic foil on thick, 350gsm coloured card for the cover. 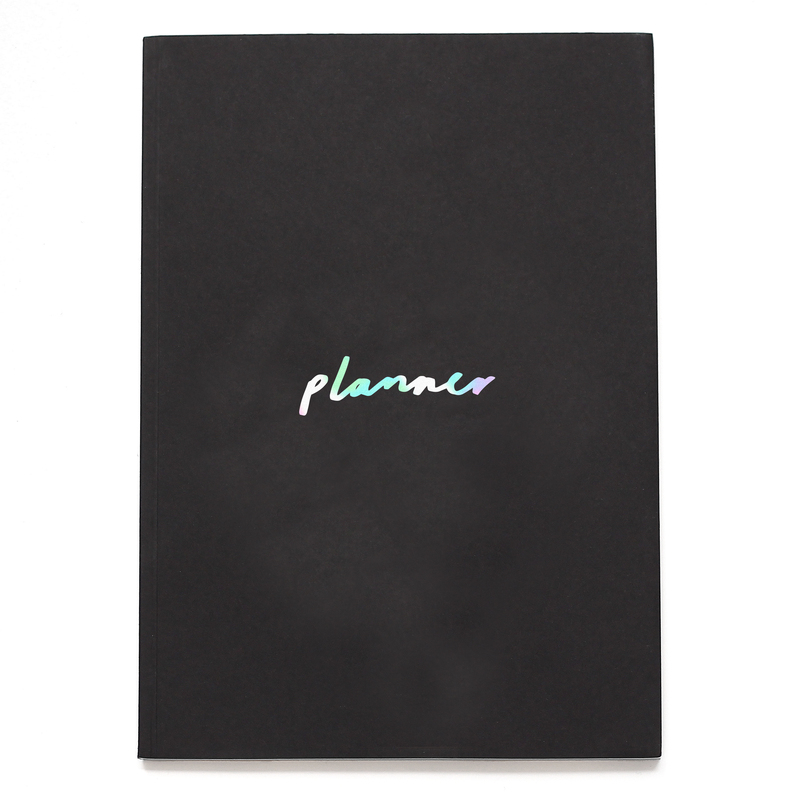 The planner contains 380 pages made from 100gsm paper and all planners are printed in the UK. I love the layout of these planners, I run off of lists otherwise I can be quite forgetful. With World Stationery day coming up and both Eva & myself loving stationery I decided to see what else the Old English Co have to offer in the stationery department. I was not disappointed, they have a fantastic range. Here are my 5 favourite products from Old English Co outside of the stunning planners they are currently giving away for their World Stationery Day competition! Brilliant Ideas Notepad – I love this little A6 notepad, perfect for jotting down blog post ideas! 2. Dreaming of unicorns A5 notebook – Eva loves unicorns and loves this notebook too. I’m sure plenty of people would love to add this to their stationery collection too. 3. 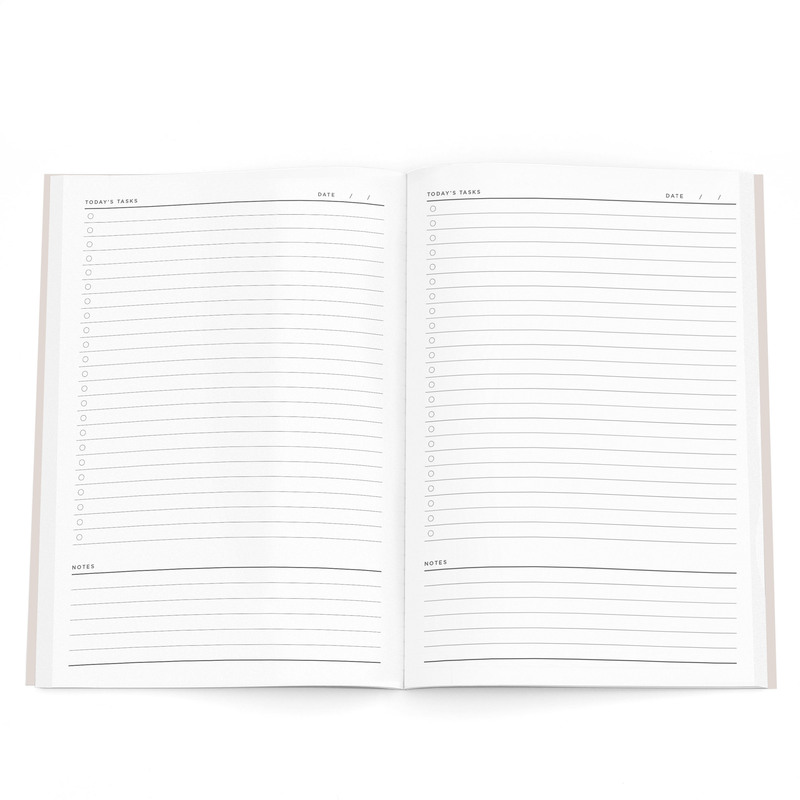 Start somewhere A4 notebook – We all have to start somewhere and this notebook is a great reminder to get started! 4. You Rock A5 Wiro Notebook – This would be a perfect gift for my brother to note down song lyrics & guitar riffs! 5. Get Stuff Done Weekly Planner – Weekly planners are possibly the best thing I have discovered in the last year! They are great for having on your desk so you know your week’s schedule/plans at a glance. Old English Co has some great products available and I could happily get carried away shopping on their site. With Eva by my side, we could easily end up with way too many notebooks, pins & planner amongst other things! Do you love the stunning planners & stationery available from Old English Co? Have you entered their competition yet? *All Images in this post are the property of Old English Co & have been used in for this post with consent. This week we have a Plantpal watering globes giveaway having received a large set of 3 to review. These watering globes automatically water your plants for up to 2 weeks. A great idea for keeping plants watered whilst on holiday. We have been trying out the Plantpal watering globes over the last few days. It is interesting to see how steadily the water leaves the globe. The watering globes really give you confidence your plants are being watered correctly. Plantpal watering globes are suitable for year round use. They prevent over watering during winter and under watering in the summer. This makes plants healthier and stronger as well as growing twice as much as normal watering. The globes contain an intelligent patent pending control moisture sensor that doesn’t require batteries. It’s always nice not having to rely on batteries for everything as they often run out when you least expect it. There is no risk of that with the globes, as long as you follow the instructions correctly these watering globes are reusable too. The globes are easy to fill and have a separate water control spike which eliminates soil clogging up the globe, a common issue in other watering globes. The capillary wicks need to be moistened thoroughly in a glass of water before using. It is so easy to use and fill the Plantpal watering globes. These fantastic watering globes make great gifts for plant keepers that will last for years. If these sound ideal for you or someone you know then enter the 3 Large Plantpal Watering Globe giveaway below. Don’t forget to check other giveaways currently running too! What do you think of the Plantpal Watering Globes? Are you entering the Plantpal watering globes giveaway for yourself or hoping to win for a plant loving friend? 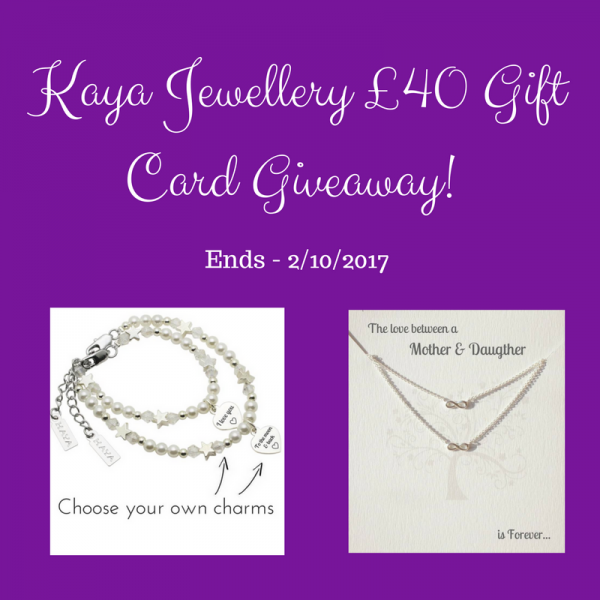 I’ve teamed up with Kaya Jewellery to give you, my lovely readers, a chance to win a £40 jewellery gift card. Perfect with Christmas just around the corner and special occasions too! Meaningful gifts are always high up on my gift list. Kaya Jewellery recently launched their UK online store where they provide high quality personalised jewellery to create treasure bespoke gifts that are absolutely gorgeous. Hand-engraved in London to celebrate the special bond between family and friends. Mother & daughter bracelets and necklaces can be personalised to suit your specific needs which I love. This cute Mum & Me Bracelet ‘Shine Bright’ design is available with a wide variety of charms to choose from. From £36.90 this is a gorgeous gift that comes in a Pink satin drawstring gift pouch or a gift box with a card for your message. Extra family members? No problem, you can add on bracelets for a reduced price! You can find stunning necklaces, hand engraved to precision to show your special bond. Mother & daughter necklaces are placed in two pink pouches or two jewellery boxes & polishing cloth. I love this gorgeous mother & daughter Infinity necklace, such a simple design that says it all. From £47.90 it comes with this beautiful gift card too. As a mum with 2 daughter’s being able to order an extra child necklace for £20 is fantastic too. There are some absolutely adorable and stunning pieces of mother & daughter jewellery as well as other jewellery across the Kaya Jewellery site. They definitely cater for all and are a beautiful way of expressing that loving bond between grandmother, mother & child. Personal engraving allows you to make this the most treasured gift you could buy. They also offer some stunning Mum necklaces and Baby bracelets at Kaya Jewellery. If you love the sound of Kaya Jewellery too and want a chance to win a £40 gift card simply enter below. Kaya Jewellery will send the winner’s £40 gift card directly using the details you enter. Good Luck!